Taking one of the League of American Bicyclists' BikeEd courses is a fun way to improve your bicycling skills and safety. Even experienced bicyclists learn a lot by taking the course. MoBikeFed believes that bicyclist education is one of the best ways to improve bicyclist safety and strongly recommends the Bike Ed courses to all bicyclists. On the right side of this page, see a current listing of upcoming Bike Ed classes in Missouri. Throughout 2015, League Cycling Instructor Bob Sharpe is publishing a series of articles that cover most ideas and concepts in the Traffic Skills 101 course on the MoBikeFed web site. More info, including links to organizations that regularly offer bike ed classes online and classes in person in St. Louis, Columbia, Kansas City, and elsewhere around Missouri, is on MoBikeFed's Bicycle Education Classes page. 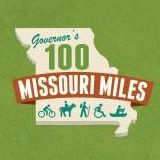 A list of free printed bicycle/pedestrian safety education materials that can be ordered from MoDOT. Bicycling Street Smarts--a "driver's manual" for on-street bicycling. Bicycling Street Smarts has been distributed by MoDOT. Is Cycling Dangerous?--"for those who obey the traffic laws, cycling is actually safer than traveling in an automobile." League of American Bicyclists' suggestions for using recreational paths, "Sharing the Path"
The International Mountain Biking Association's "Rules of the Trail"
Teaching the physical skills of riding: balancing, turning, starting, and stopping. Teaching the safety skills of bicycling on the trail or on the street. Balance bikes have been popular in Europe for many years, and are fast growing in popularity in the United States as well. Kids can start on a balance bike--which is like a regular small bike with no pedals--as young as age two; children naturally learn to balance and steer with little danger of falls. This video shows you how to get started. Bicycle Safety Activity Kit with fun games, coloring, and other activities appropriate for children 4-11. From the Federal Highway Administration and the National Highway Traffic Safety Administration. The League of American Bicyclists demolishes all the excuses you have for not commuting by bicycle. The also have a complete list of tips & ideas. Pedalling Health--medical research into the health benefits and safety issues related to cycling. Bicycle skills: How far from parked cars should you ride? How wide is the Door Zone, really?